National Cheeseburger Day is celebrated on Sept. 18. Andre Saldivar, a mechanical engineer and project manager at SCE's Foodservice Technology Center, checks out a griddle in action during the 'Build a Better Burger' seminar. Javid Bholat and Mario Perez, Jack in the Box franchise district managers, attend the 'Build a Better Burger' seminar at SCE’s Foodservice Technology Center in Irwindale. Business customers visit SCE’s Foodservice Technology Center in time for National Cheeseburger Day. IRWINDALE, Calif. — When you consider that Americans consume 50 billion burgers a year or that 71 percent of all beef consumed in restaurants is in the form of a burger, it’s no wonder there’s a whole day dedicated to celebrating the cheeseburger. Those numbers were shared during a recent “Build a Better Burger” seminar hosted at Southern California Edison’s Foodservice Technology Center which was held just in time for National Cheeseburger Day on Sept. 18. The staggering statistics stood out to Javid Bholat, Jack in the Box franchise district manager, who attended the seminar to learn about the newest trends in burgers and energy-efficient commercial foodservice equipment. Bholat and his colleague Mario Perez are among three district managers who help oversee operations at 24 Jack in the Box franchise locations in the greater Los Angeles area, Orange County and Inland Empire. It was their first time attending an event at SCE’s Foodservice Technology Center. Burger patties cook in a combination oven during the 'Build a Better Burger' seminar at SCE’s Foodservice Technology Center. The free seminar featured live equipment demonstrations by various manufacturers. 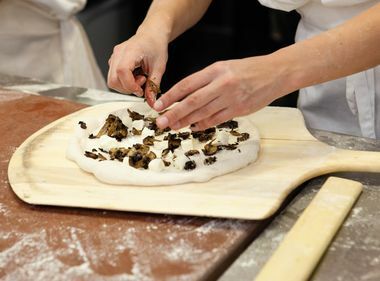 Presenters also went over the different types of buns and toppings that are trending in the industry, such as brioche bread or meat-on-meat toppings. 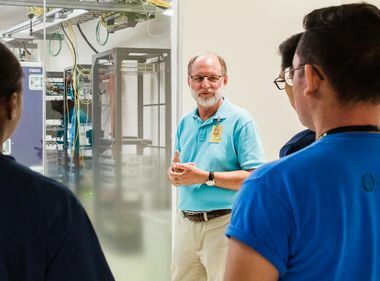 Mark Finck, lead engineer at Pacific Gas and Electric Company’s Foodservice Technology Center and the main speaker at the seminar, said building a better burger takes more than just choosing the right bun, cheese, meat and toppings. 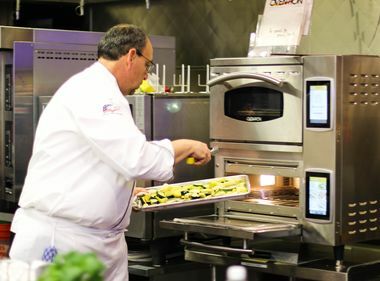 There’s also matching the right equipment — such as the versatility of combination (combi) ovens or the efficiency of steam or electric griddles — to the end product that restaurants want to create. Bholat was particularly impressed with the steam technology and other energy-efficient equipment that were showcased. 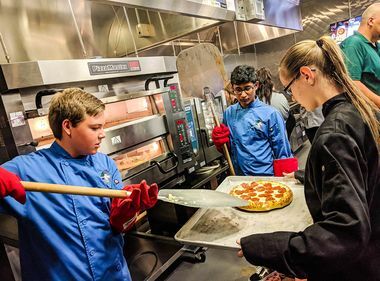 Bholat said his team is working closely with Andre Saldivar, a mechanical engineer and project manager at SCE’s Foodservice Technology Center, to introduce some of the new technology to their restaurants. “That’s the most rewarding, helping a [business] customer that never knew about this and really saving them on their potential energy bill,” said Saldivar. Business customers can take advantage of the different rebates offered by SCE when purchasing energy-efficient equipment. For more information on the Foodservice Technology Center: www.sce.com/energycenters. For more information on appliance rebates: sce.com/restaurants.